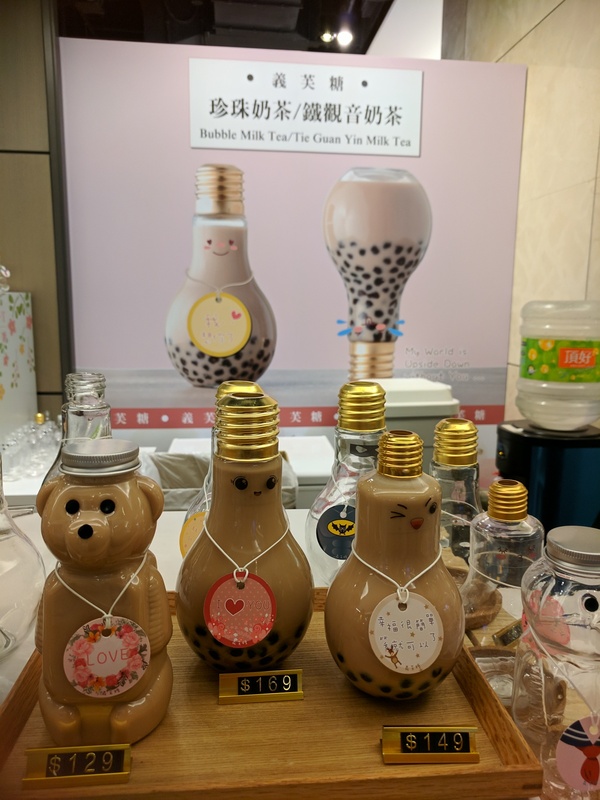 My cousin visited Taiwan recently and posted a very interesting photo of milk tea she had while on tour. The milk tea was in very cute light bulb glass. I immediately asked her where she got it and she said it was available at the food court of Taipei 101. The location was perfect for me since our office is in the same building. I lost no time to look for the stall. Friends helped me find it and ordered my drink. They got me the tieguanyin milk tea and they explained that this was made from Taiwanese tea. 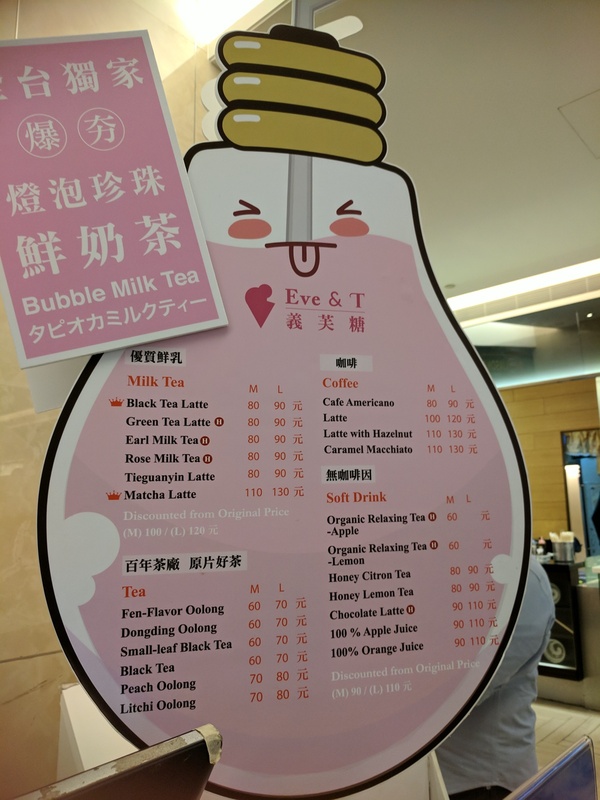 I was so excited to sample the milk tea I forgot to take a picture of the menu. 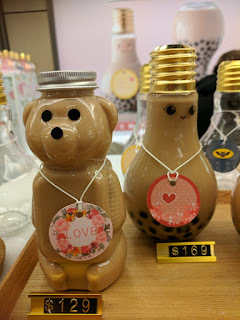 To order you have to select first the milk tea flavor, then the glass, the eyes and then the "message. Aside from the light bulb glass you can also opt to get the cute bear. 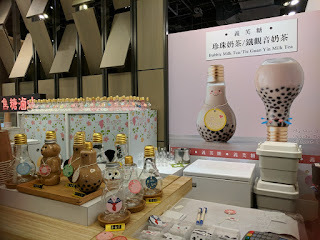 Price for cold milk tea starts at NTD129. It took us some time to find a seat at the very busy food court. 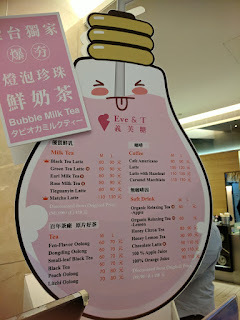 The milk tea was indeed very Taiwanese -- more milky and the tea had an edge to it. I opted for 50% sugar so it wasn't very sweet. I didn't request for pearls, but you can definitely have it added. 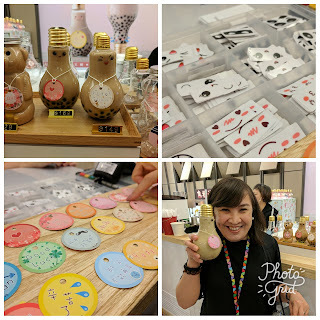 Will probably get some more tomorrow, but will need to figure out how I'm going to bring my light bulb glass home! Update: I went back today to have another glass of yummy milk tea. Also got to take a photo of the menu finally!